Auxin is an important plant hormone that controls numerous aspects of development and physiology, including responses to light, tissue patterning, and organogenesis. It forms concentration gradients across various tissues throughout the plant and exerts its effects by binding to auxin binding proteins and regulating transcription of distinct sets of target genes. Written and edited by experts in the field, this collection from Cold Spring Harbor Perspectives in Biology describes the numerous processes auxin controls. These include growth of the shoot apical meristem, leaf and vein patterning, and flower, fruit, and root development. Other chapters examine how auxin is synthesized by plants, the nature of auxin receptors, the Aux/IAA family of transcriptional repressors that auxin regulates, and the variety of auxin transport mechanisms that exist in plants. 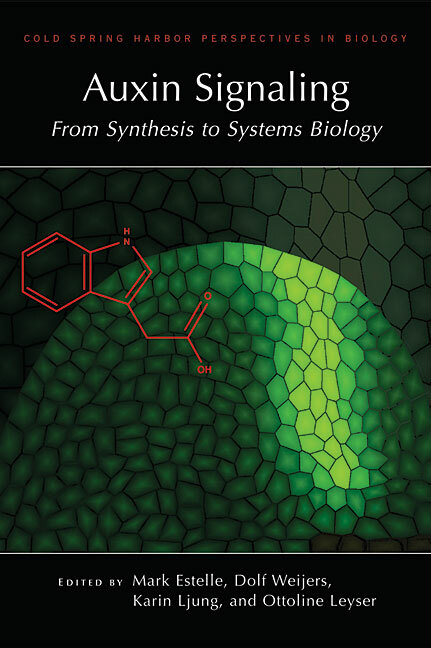 The book also examines the extraordinary complexity of auxin responses and discusses new computational models for mechanisms that allow this hormone to generate such a wide variety of outputs. It is thus of interest to systems biologists, biochemists, and developmental biologists, as well as all plant biologists interested in the regulation of plant behavior and morphogenesis.